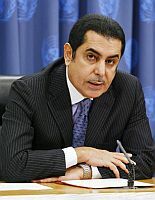 ROME, Dec 6 2011 (IPS) - South-South cooperation can play a key role in boosting the economies of developing countries, but it is not going to replace North-South cooperation, says Nassir Abdulaziz Al-Nasser, president of the 66th session of the U.N. General Assembly. The Qatari diplomat was interviewed by IPS as the fourth annual Global South-South Development Expo (GSSD Expo) opened Monday in Rome. This year’s GSSD Expo, a U.N. system-wide forum developed by the Special Unit for South-South Cooperation, is hosted by the FAO from Dec. 5 to 9, and is meant to showcase concrete innovative solutions that demonstrate how hunger has been successfully tackled through South-South cooperation. Q: In its latest report last week, the ‘World Economic Situation and Prospects 2012?, the U.N. warned that the EU-U.S. economic crisis is threatening to spill over into developing countries. How can the developing world protect itself against this threat? A: The economic crisis is affecting the entire world. In the past, economic and social crises mainly had a regional or sub-regional range. Now the issue is global, it is not about the U.S. or the European markets. What is happening in the U.S. and in Europe is having effects on Latin America, Asia and Africa, and will certainly have an impact on development in these countries. It is time for the United Nations to look at all this collectively and deal with that. This not only concerns the G20 (bloc of major industrial and emerging powers); this is the responsibility of the General Assembly. I am today focusing on this issue: last week two ambassadors were appointed as facilitators to work on a specific, very important event dealing with the financial crisis which is currently hurting people everywhere, all over the planet. I’m hoping the General Assembly will see concrete results of this commitment by the first half of next year. Q: What role can South-South cooperation play in boosting the economies of developing countries? Do you think that triangular and multilateral cooperation – as in IBSA (India, Brazil and South Africa), MERCOSUR (South America’s Southern Common Market) and ASEAN (Association of Southeast Asian Nations) – need to be strengthened further among these member states? A: Yes of course. South-South cooperation today can play a major role in bringing all the South countries together, and sharing their experiences. At the same time it is also very important that developing countries do this with the support of the developed world. Many Southern countries have lifted millions of people out of conditions of extreme poverty and hunger. These countries have at their disposal much knowledge and technical know-how. These can be put to further good use through enhanced South-South exchanges of information, experience and technology, with a view to raising agricultural productivity and to improving food distribution to the benefit of more people. Through South-South solidarity, we can also learn from countries that are reforming customary norms and practices, in order to ensure that women are no longer denied equal access to land and other productive assets that contribute to food security. In doing so, women will be empowered and can gain their rightful place in society. It is my hope that these exchanges, programmes and partnerships will be replicated and adapted widely. Q: As the trend towards South-South cooperation continues, will this replace North-South cooperation in the future? Or is there need both for South-South and North-South cooperation? A: They complement each other. The South cannot work without the North and the North cannot work without the South. Complement is the key word here. As president of the United Nations General Assembly, I am committed to promoting South-South and triangular cooperation, as an important part of building a united global partnership. Only such a partnership, based on open dialogue and mutual understanding, can enable efficient collective action in a globalised, inter-dependent world. Q: What contribution has Qatar made towards South-South cooperation following the Second South Summit which was held in Doha in 2005? Is the Gulf Cooperation Council (GCC), of which Qatar is a member, a prime example of South-South Cooperation? And how successful has it been? A: It’s been very successful, yes. Qatar has been very active in regional and multilateral initiatives to promote South-South cooperation. I’ve been Permanent Representative of Qatar to the United Nations and personally contributed to a number of South-South cooperation initiatives. My country believes in Southern cooperation and I think it one of the most active actors in South-South cooperation, especially in terms of encouraging developing countries to work together and share their experiences. Qatar hosted the Second South Summit of the Group of 77 in 2005, where the South Fund for Development and Humanitarian Assistance was launched.